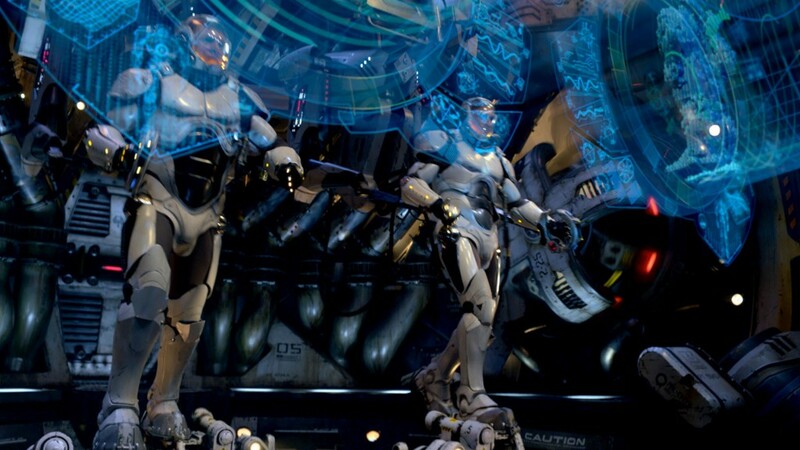 The World Of Ktdata » Blog Archive » Pacific Rim: The reason why I love giant robots! What do you do when aliens attack Earth from an undersea portal? You build giant robot to fight them of course. That is pretty much the storyline for Pacific Rim. Let’s be honest with each other, this is not the most ridiculous story line you have heard (it’s not some kid running around trying to get the girl with the help of giant robots from outer space after all). I won’t go too deep into the story, it’s a nice device to keep the movie moving but it’s not going to get any awards. The aliens that are attacking Earth are called Kaiju, the Japanese word for strange creature or monster. 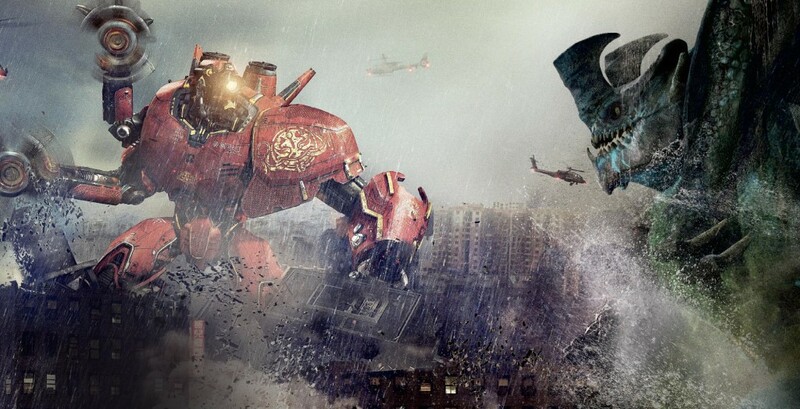 To fight the Kaiju, humans come together and build giant robot suits called Jaegers. Initially the battle with the Kaiju seems to favor the humans but the Kaiju are relentless and the human race is on the brink of destruction. All that is left now is a handful of Jaegers and humans are now building walls as a last ditch attempt protect themselves from the Kaiju. 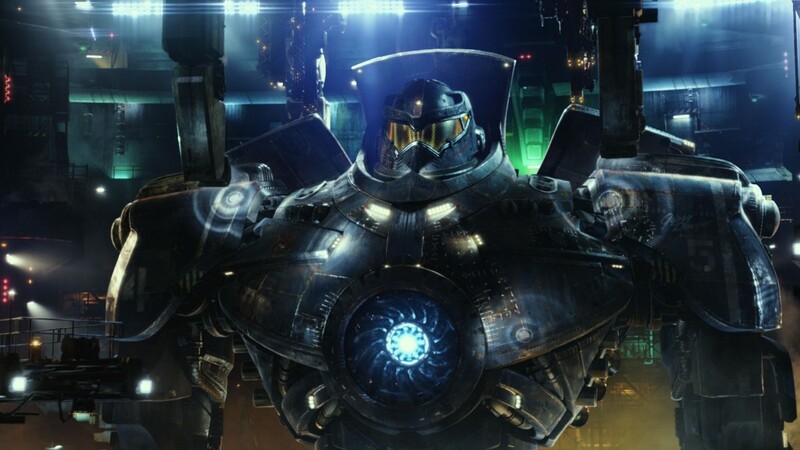 I’ve been excited for Pacific Rim because of one reason and one reason alone, giant robots. Having Guillermo Del Toro (Pan’s Labyrinth), Charlie Hunnam (Sons of Anarchy), Idris Elba (Prometheus) and Rinko Kikuchi (Babel) in the movie was a nice bonus but it’s all about the giant robots! Jaegers are giant mobile, exoskeleton suits that have their neural load linked directly to the pilots’ minds. The neural load of a Jaeger is so great it requires two pilots to psychically link with each other to operate the giant machines of awesome. The deeper the connection between the two pilots means a stronger psychic link, in turns improves Jaeger operation. If you haven’t noticed by now, this movie draws from other Sci-Fi film and TV. The Kaiju themselves look like monsters out of old Japanese movies such as Godzilla and Ultraman. When I saw the Kaiju attacking city’s I was reminded of all these old Japanese shows and almost forgot the film takes place in Hong Kong. There are nods to gamers in this movie also, pay close attention to the Jaeger AI. If it sounds familiar it’s because the voice is Ellen McLain, the voice of GLaDOS in the Portal games (they even created an audio filter for her). Considering there are giant robots in this movie, let’s not forget the world of anime for some influence. After all, when people think of giant robots they think of anime like Mobile Suit Gundam and Neon Genesis Evangelion. Looking for plug suits? Yes the movie has that. How about father issues? The movie has plenty of that, to the point where there are two different characters that have to deal with different daddy issues. 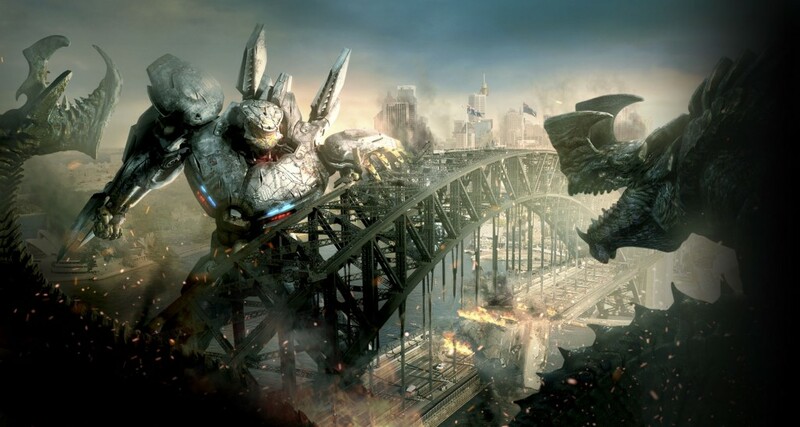 Of course there are epic battles between the Kaiju and Jaeger, these battles do not disappoint at all. They delivered everything I expected and more! There is a point in the movie where I thought, “boy this would be a great time for a beam saber.” Next thing I know, a giant robot sword appears. In fact the only thing I didn’t see was long-range beam weaponry (who knows those might be in a sequel if they ever make one). I would even say that the movie made a nod to the currently popular anime in Japan Attack On Titan/Shingeki no Kyokin with the construction of the The Kaiju Wall. Visually, everything about this world is amazing. There is a grittiness and sense of desperation that is perfectly captured. You get this sense that everyone is on edge and just trying to survive but we are still able to band together and build these giant robots. No two Kaiju are the same, in fact there were forty designed but only nine appear in the movie. The Kaiju were created with inspiration from nature. The result was a somewhat familiar bit foreign creature; all of them were perfect for this movie. The Jaeger designs have a similar treatment except drawing from something each country is well known for. 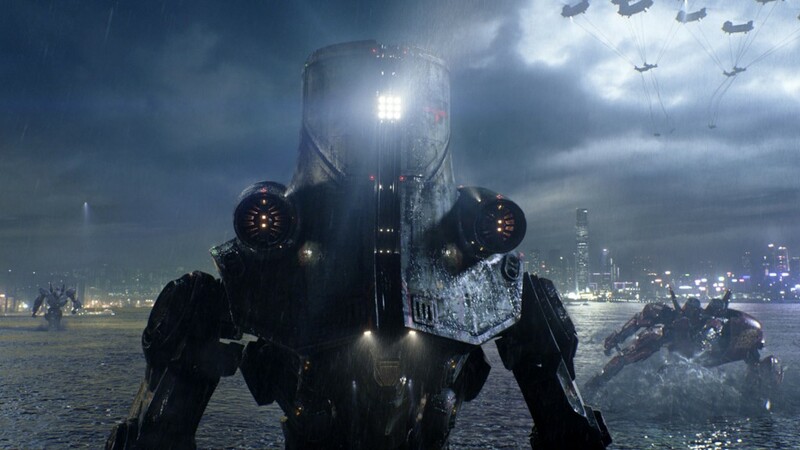 An example is Gipsy Danger, the American Jaeger, is based off the shape of buildings like the Chrysler and Empire State buildings. All of these designs take me back to my childhood where giant robots were the coolest things ever (ok, giant robots still are the coolest thing ever). So what is my verdict on Pacific Rim? If you haven’t guessed by now, it’s a definite watch in the theater. If it’s possible, watch the movie in IMAX. Yes, you read that right go see the movie in IMAX. Watching this movie on such a large screen makes everything seem so much more epic. You actually believe you are watching these humongous monsters fight the giant human created robots! It’s a rare for me to recommend paying extra to watch a movie in IMAX but I feel for Pacific Rim it is worth every penny. The experience definitely adds to movie and takes it to a whole new level of enjoyment. 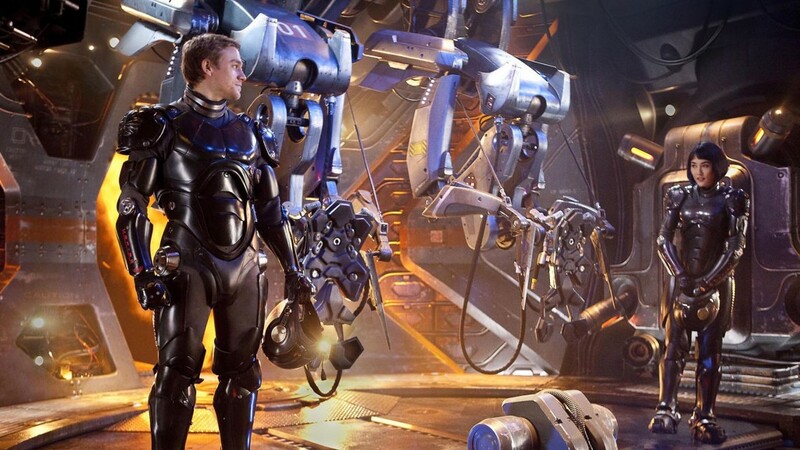 I think I was smiling the whole time watching Pacific Rim and it definitely had the little kid in me jumping for joy. If you didn’t think giant robots were awesome before watching Pacific Rim, the movie will definitely convince you to that they are. One final thought, did I mention I like giant robots? "Onaka ga suite imasu" Index comes!